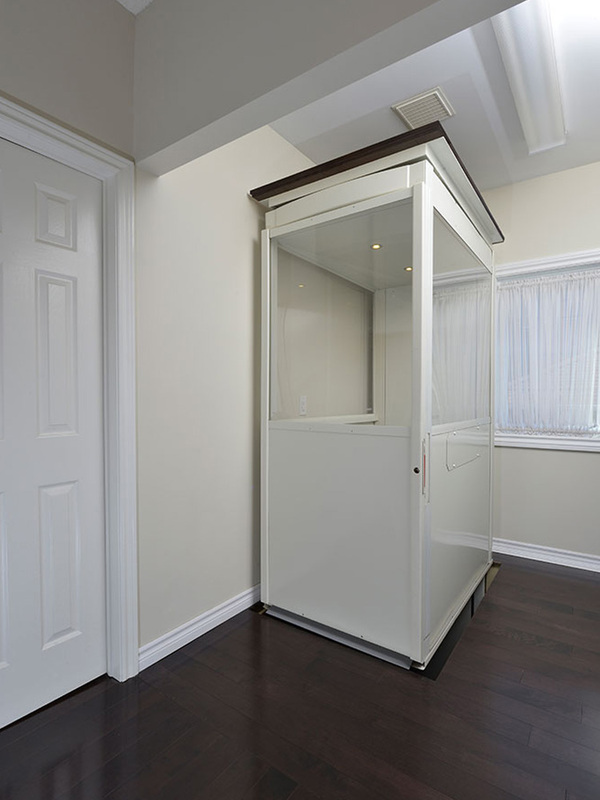 The Savaria Telecab is the quickest, easiest, and most economical way to add an elevator to your home. Ideal when space is limited, the innovative “vanishing” Savaria Telecab elevator travels on a guide rail system through a floor cut-out. Because no elevator hoistway is required for installation, it can be placed in a home without the typical construction costs of a shaft. The Telecab accommodates 2 stops, making it our most economical elevator and a great option for those with reduced mobility. Finished in white powder coat, the modern appearance of the Telecab blends into your home decor. The enclosed drive tower keeps mechanical components safe and out of site. Your Telecab elevator comes with interior lighting and a range of standard safety features.